Being asked to be a bridesmaid – Is a privilege and very exciting. However, it can also be quite expensive especially if you have a few other weddings that year. It varies by bride whether she foots the hair and makeup bill for the bridal party herself, or has each member pay individually. If your bridesmaids are responsible for this fee – what happens when one doesn’t have the financial resources to pay for the service? Should she do her own makeup and hair, or should you help cover the costs? After paying out so much for your wedding dress and designs, last on your list is hair and makeup and one of the most important parts to make your wedding party look its absolute best. 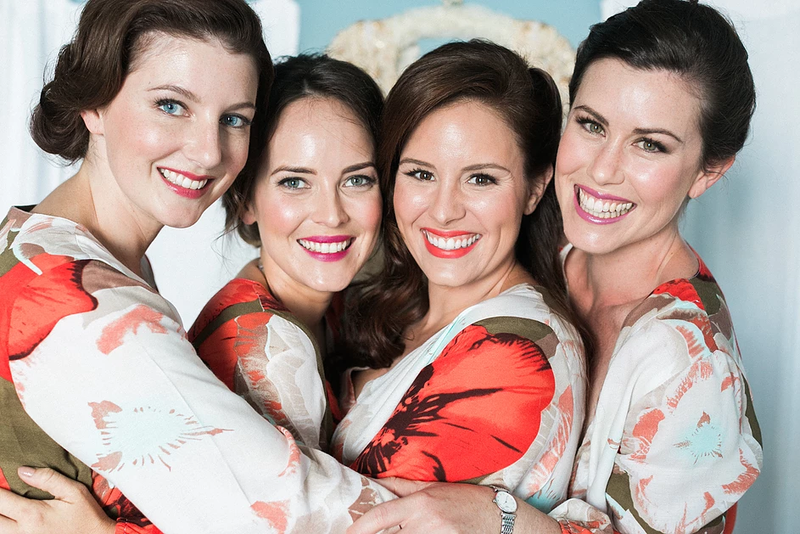 Every bride wants her bridesmaids to look their most radiant on her wedding day, from perfect hair to glowing flawless makeup. The getting ready – Getting ready is as exciting as the wedding ceremony in a different way. Takes us back to getting ready to go out for parties. However, if one of your girls can’t afford to get her hair and makeup done, it’d be a generous gesture to help her out. It is an honour and a privilege plus very exciting to be a bridesmaid, it is not supposed to be a stressful time, it is a time to share one of the most important days with the bride, your closest friend. And bridesmaids also want to look their very best before they walk their friend down the aisle to meet her future husband.